Deputy Chief Riley joined the Newark Division of Police on June 1989. A 28 year veteran he was promoted to Sergeant in 2001 and to Captain in 2006. 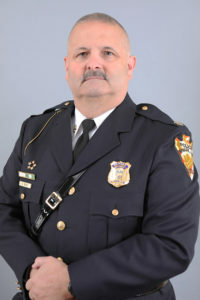 He has served as a Patrol Bureau Supervisor, an Administration Bureau Supervisor, Commander of the Detective Bureau and Commander of the Patrol Bureau. He currently serves as the Administration Bureau Commander .